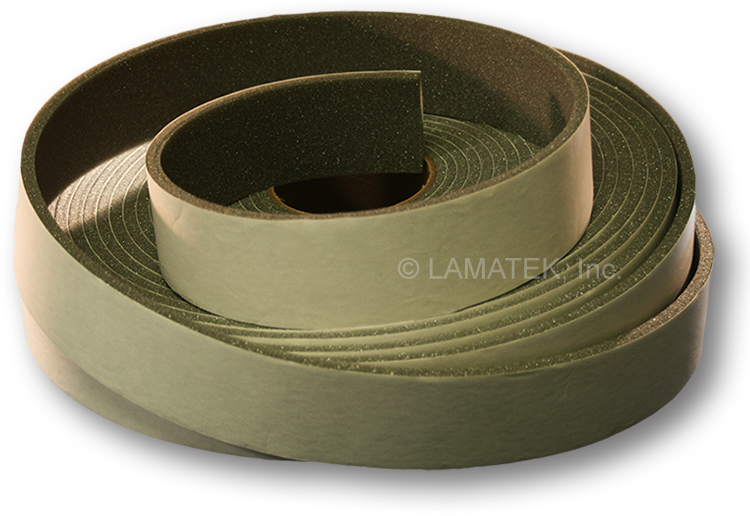 Low cost, low density polyether foam tape is perfect for filtering, insulation, and weatherstripping applications that require exceptional compression recovery, or the ability to “bounce back.” Due to its open cell structure, this urethane foam allows water and some air to pass through while blocking dust, dirt, light, and pests. Ether polyurethane foam tape is gray in color and very easy to compress — that means it’s really soft and squishy. While prolonged, direct UV exposure is not recommended, ether foam tape makes an excellent weatherstrip lining or draft barrier on interior surfaces.